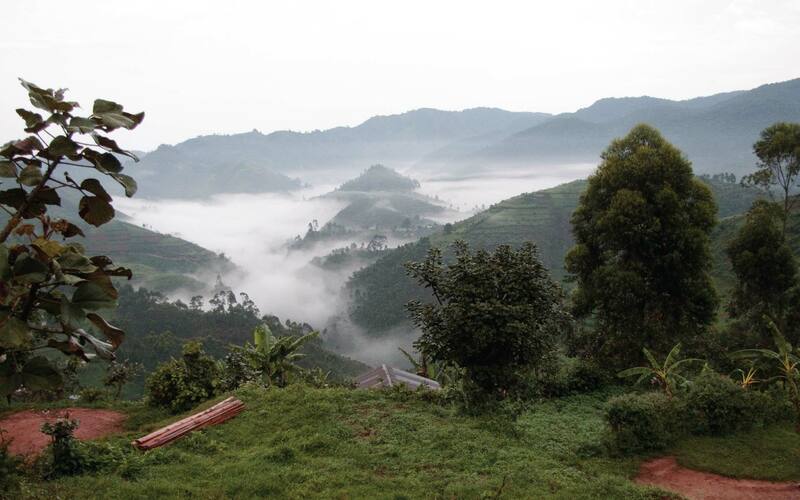 Bwindi Impenetrable National Park was created in 1991 and covers an area of 331 Sq. km. 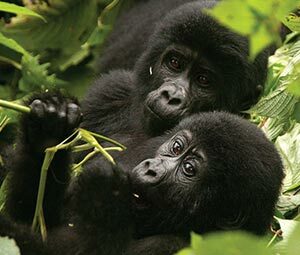 It is a home to a half of the world’s Mountain Gorillas of which its encounter and eye contact is the most exiting experience during the visit. With its mist covered hills, this Impenetrable Forest is the oldest and most biologically diverse rain forest with over 400 species of plants, It lies on the edge of the rift valley in southwestern Uganda and protects at least 120 species of mammals, 346 species of Birds, 202 species of butterflies, 163 species of trees, 100 species of ferns, 27 species of frogs, chameleons, geckos among many endangered species. 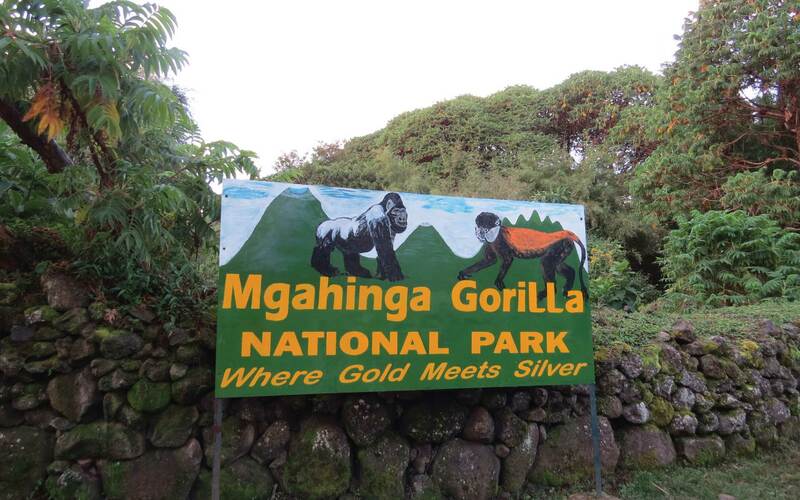 It is a UNESCO designated world heritage site popular for hosting Mountains Gorillas and Chimpanzees of which the two Great African apes are listed as endangered animal in the IUCN Red Data Book. 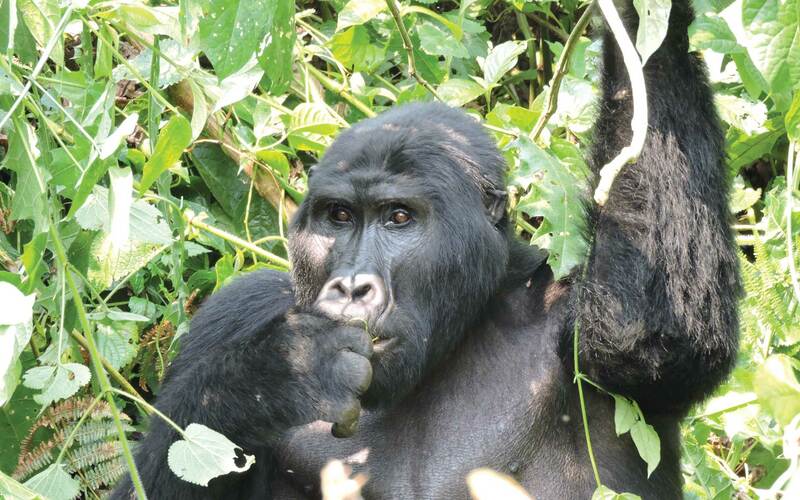 Bwindi Impenetrable National Park offers Gorilla tracking as major tourist attraction with 4 gorilla tracking sites/ trail heads. 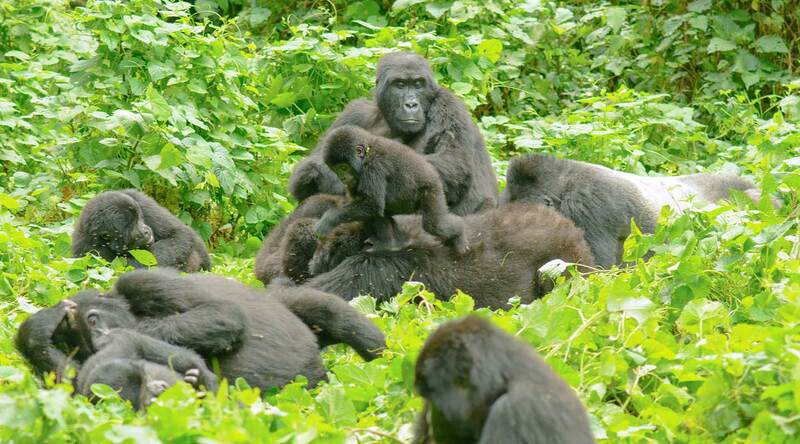 Also 12 Mountain gorilla families have been habituated and are open for 8 tourists per day per gorilla family. Forest trails in the park lead to various attractions including Waterfalls, rivers, swamps and high level of wildlife concentration. 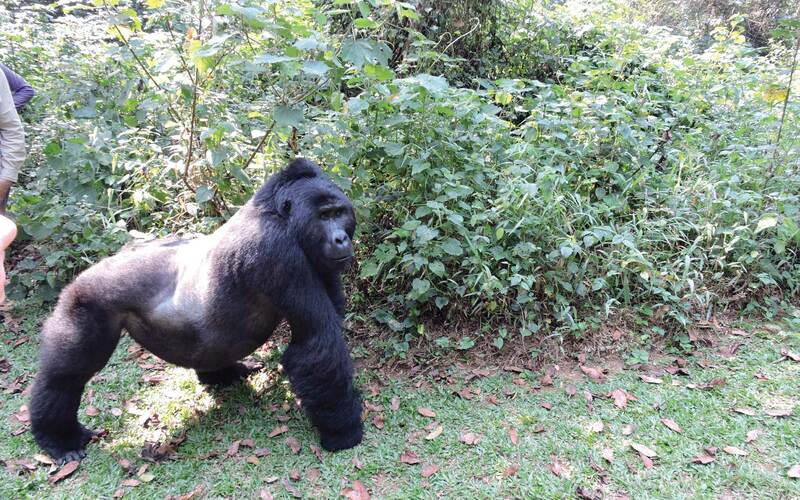 Tracking Mountain Gorillas being the highlight to the visit to Bwindi forest is unforgettable experience which more than repays the effort needed to reach Bwindi and to trek through the forest. 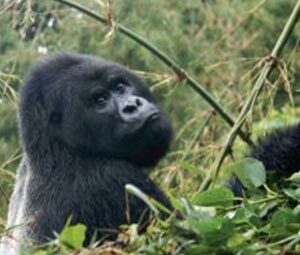 Gorilla tracking can be challenging and therefore one needs to be reasonably fit before undertaking to venture in this activity. Registration and briefing at Buhoma, Ruhija, Rushaga and Nkuringo visitor Receptions commences 07:45am while general briefing by head of the guides is at 8:00Am. Gorilla tracking starts at 08:30am and can last from few hours to whole day depending on the movement of the Gorillas and where they were left previous day. Bird watching is another amazing attraction that provides great opportunities to see various Albertine rift Endemics such as, African green broad bill, yellow eyed black fry catcher, Mountain masked Apalis, Short tailed warbler, Rwenzori Batis and many more. 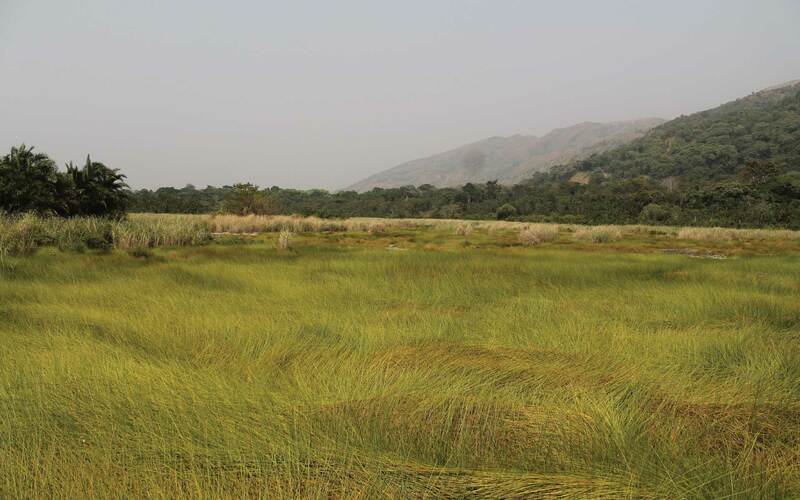 The highest peak of this park is 2607m and it’s noted as a good birding spot while a 3 hour descending to Mubwindi swamp can lead to a visitor to the Albertine rift endemics and localized African green broadbill. 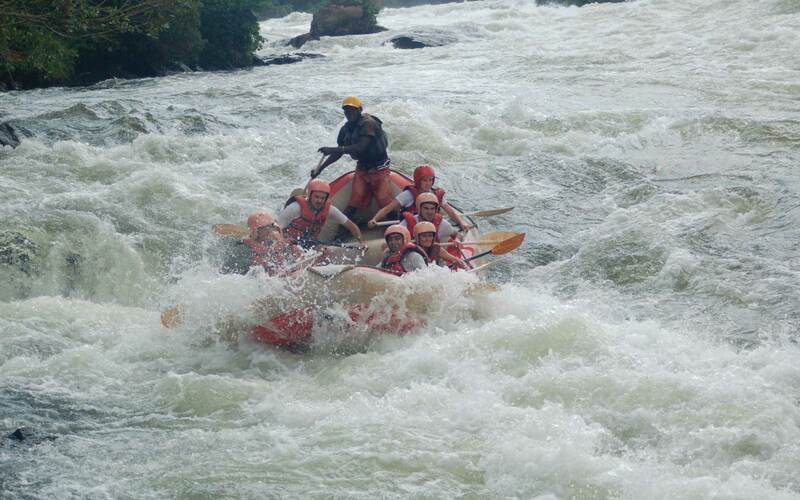 Other rewarding activities in Bwindi are mountain biking, and nature walks to the water falls and other parts of the forest. 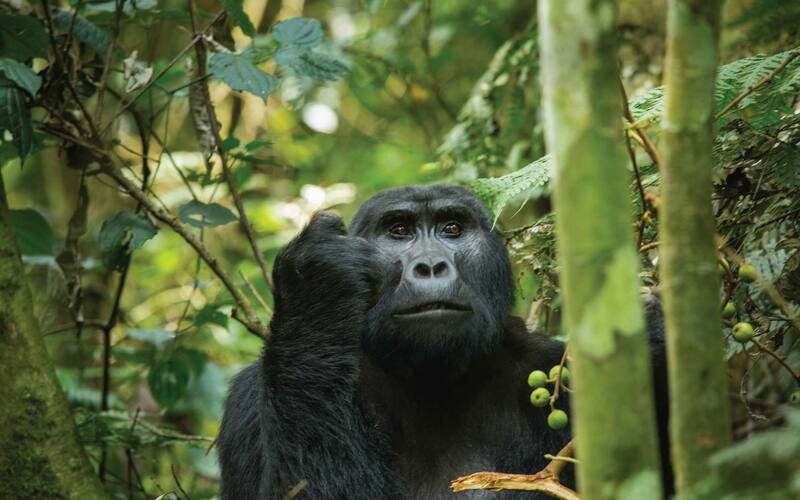 Besides these main ones, a range of other walks provide more relaxed opportunities to spot birds and monkeys while exploring one of Uganda’s loveliest rain forest. The following walks can be arranged to depart in the morning at 09:00am and in the afternoon at 14:00hours respectively. 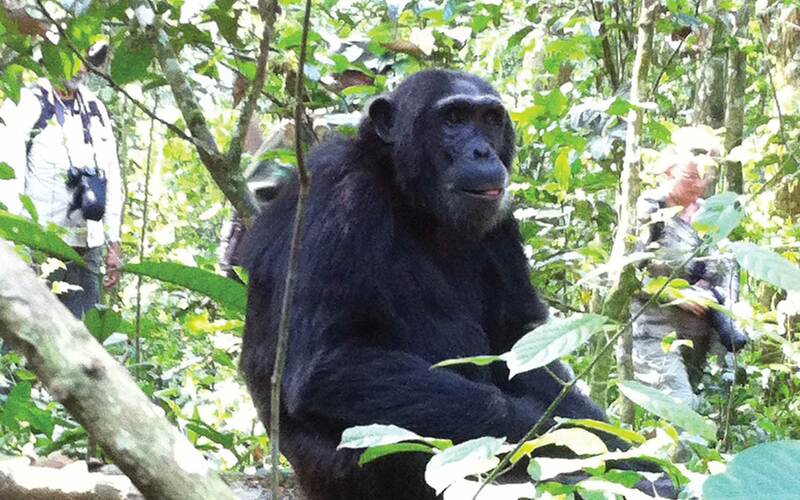 Munyaga River trail, in the valley below Buhoma park office provide an ideal short walk for chances to see birds and primates along the primary forest edge. 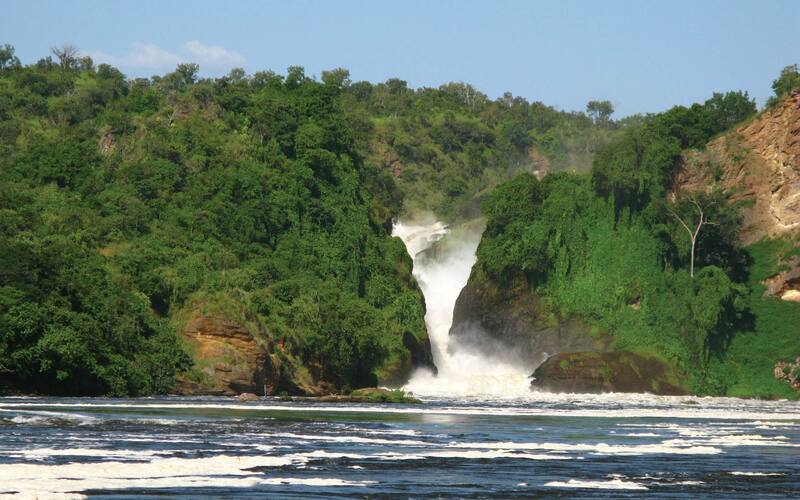 Waterfall trail leads through one of Uganda’s most pristine tracts of rain forest, passing beneath tree ferns, epiphytic ferns, and orchards to visit the three sparking waterfalls. Rushura Hill trail provides expansive views across the plains of the western rift valley to the west and on clear days, one can be able to see Lake Edward and the Rwenzori Mountains of the west. 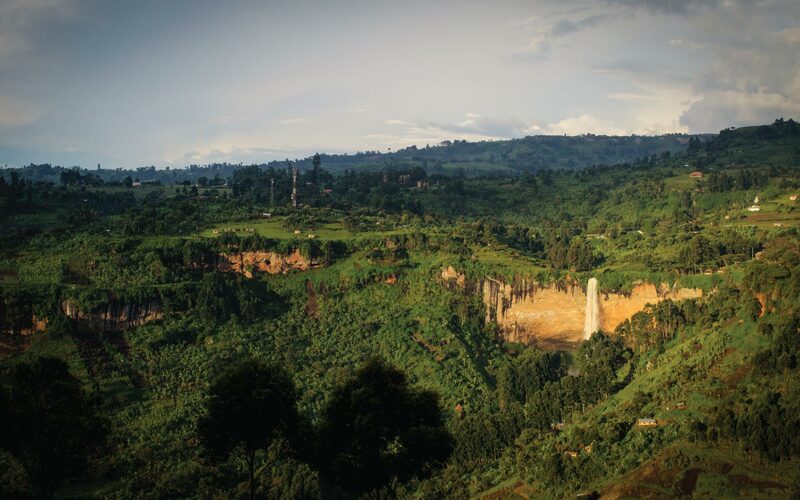 Muzabajiro loop trail this climbs to the summit of Rukubira hill for breath taking views of Bwindi forest, the western rift valley and the volcanoes ranges. River Ivi trail follows, an old road through beautiful forest emerging near Nkuringo on the southern edge of the forest. This is highly recommended for Bird watchers. 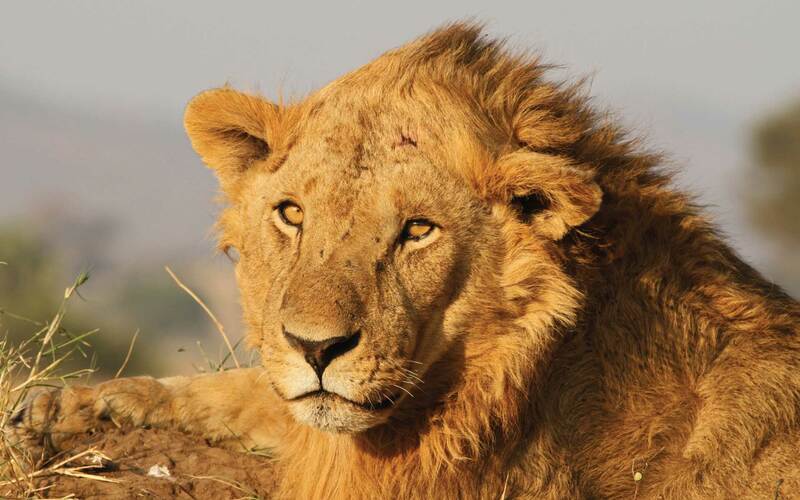 Through Queen Elizabeth National park (Mweya)-Kihihi- then Buhoma. 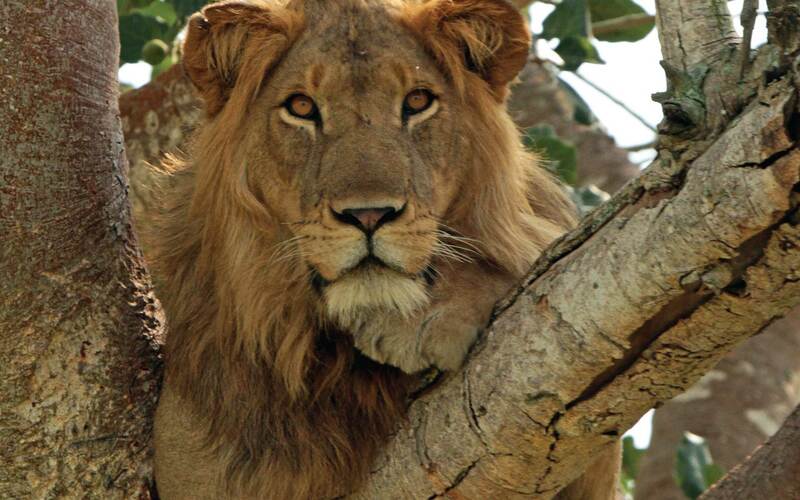 This route passes through Queen Elizabeth national park’s southern part called Ishasha that is famous for hosting the Tree climbing lions which makes a good stop over for tourists before proceeding to Bwindi. 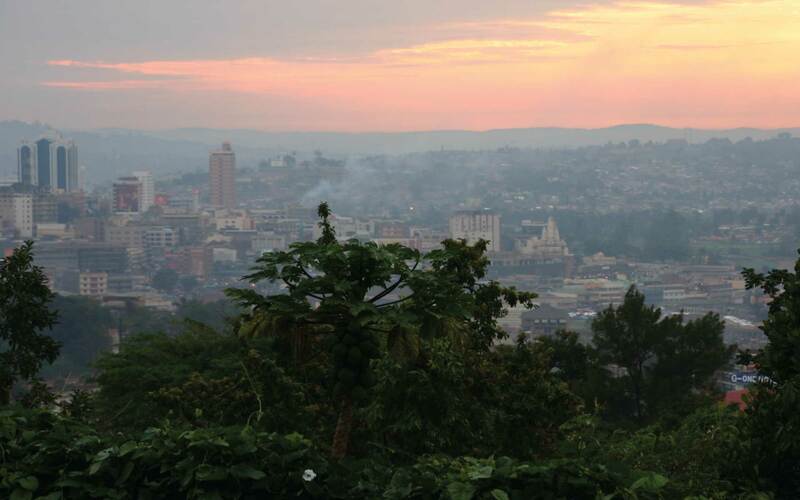 Bwindi is 160km from Mweya and 64km from Ishasha. 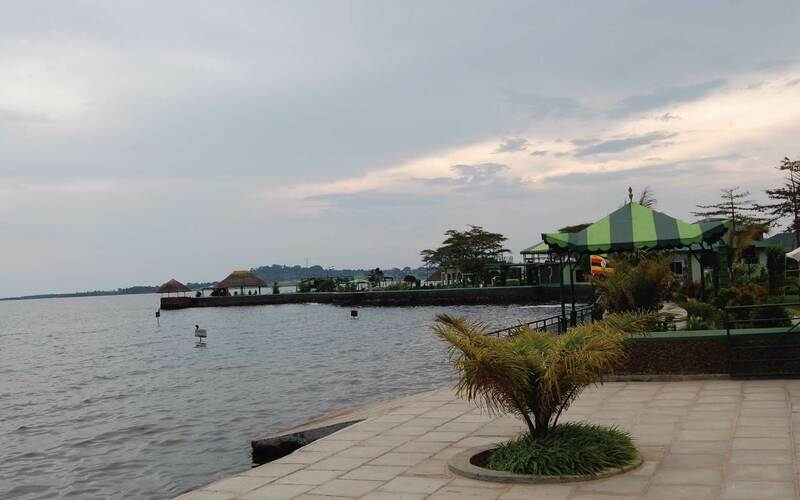 Travellers can fly from Entebbe Airport to modern tarmac Kisoro Airstrip, near kisoro town for visitor to the southern part or to Kihihi Air strip for those visiting Buhoma. Using Aero link charter that fly around to different parts of the country. 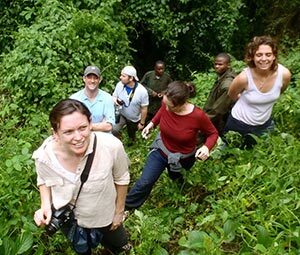 Bwindi is open for gorilla tracking all year long, but the best times to go gorilla trekking are from June to August and December to February. At these times the forest trails are drier and therefore less slippery.